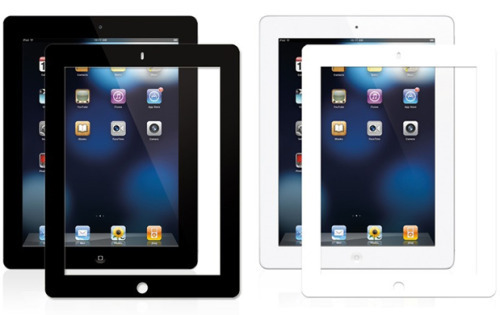 Moshi's new iVisor AG screen protectors for the iPad 2 are fully removable, re-usable and 100% air bubble-free, guaranteed. The iVisor AG has an anti-reflective matte finish to help reduce glare and fingerprints while it's color coded frame gives me an idea to turn my black iPad 2 into a white one on the cheap. Moshi's iVisor AG screen protectors are available now for $30.